Vegadaze runs at Rosehill to try to stretch his winning sequence to three from as many starts. A piece of sage advice from Anthony Cummings has ensured connections of Vegadaze are still enjoying the ride as the three-year-old prepares to maintain his unblemished record at Rosehill. His owner/breeders, Ray and Karen Spratt, were looking to offload some of their thoroughbred stock, Vegadaze among them, but Cummings convinced them otherwise. “He looked like a nice horse from the outset,” Cummings said. 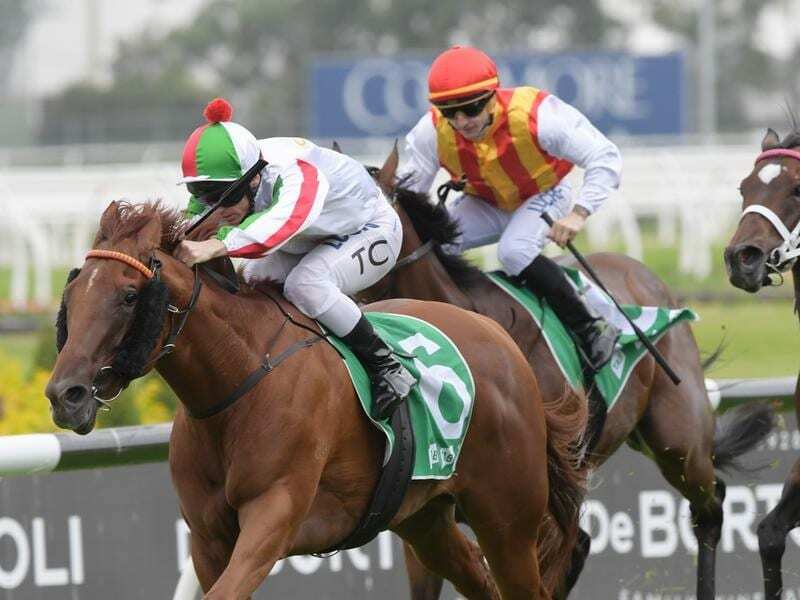 Vegadaze is unbeaten in two starts and will attempt to extend his winning sequence when he steps out in the Countdown to Golden Slipper Handicap (1400m) on Saturday. He will face a rematch with Ljungberg who meets Vegadaze 2.5kg better and the Ron Quinton-trained gelding will be out to atone for his luckless last-start defeat when he was trapped wide and could not run down Vegadaze. But Cummings has no doubt his charge is up to the challenge. “He finished up in front (last start) which, at the speed they went, was the right place to be but as you saw first-up he’s a good chaser as well,” Cummings said. Saturday’s race will give Cummings a better guide where to head with Vegadaze this autumn. He says the three-year-old is still learning and open to significant improvement and as a result, Cummings is keeping all options open. “There are all sorts of plans. He’s nominated for a couple of nice races in Melbourne and the same in Sydney,” Cummings said. Ljungberg was the $2.90 favourite on Thursday ahead of the Chris Waller-trained Sure Knee, a last-start winner at Canterbury, with Vegadaze on the third line at $5.50.